If you’ve been casting ballots long enough, it’s easy to take the process for granted. But what’s it like being a first-time voter in the US these days? How do they struggle, what comes easy, and how can we improve upon the experience? A few months ago, we set out to better understand these questions through a study commissioned by the folks behind TurboVote. First-time voters fall into two major buckets: citizens who were recently naturalized, and young people eligible to vote for the first time. Given the consistently low engagement levels seen in voter turnout among 18- to 24-year-olds, we chose to focus on the latter group. When it comes to understanding the experience of someone voting for the first time, let’s break it down into four basic steps: before, begin, during, and after. The lifecycle of a customer service experience (source), courtesy of Megan Erin Miller and Practical Service Design. The first phase is all about discovery. How do potential voters find out about voting in the first place? Here, it is less about learning about the legal right to vote once someone turns 18, but more about how and when to *actually* vote, meaning registering for an election and casting a ballot. One positive aspect of presidential elections is that they are extremely high-profile. And in a news cycle like 2016, deadlines related to the election are really hard to miss (unlike other state or local level elections). One of our research participants likened it to Mother’s Day: one year, he completely forgot about the occasion, but the moment he woke up, he started seeing all these posts on social media and promotional signs in stores, and was able to get a gift for his mom on time before the end of the day. Once a potential voter knows about an upcoming election, and decides to vote, there is a preparation phase. How does a potential voter know what to do, when to do it, learn about deadlines, and other details such as documentation requirements? For many potential voters the weapon of choice is Google, which almost all of our research participants turned to for all types of questions. However, that leaves it up to the potential voter to comb through the search results, figure out which information is applicable to them amongst all the potential results, and determine which sources they can trust with their personal information. Once a potential voter feels prepared and ready, the next step is for them to register to vote. How does a voter go through the registration process? In addition to not being offered any immediate feedback to make them feel like they’ve checked an important box, online voter registration didn’t have any built-in share-ability mechanism. Unlike when you vote in-person and get an “I voted” sticker (allowing you to flaunt your voter status to your peers), registering to vote online had a very flat, disappointing end. What does this mean for TurboVote? Before: the promise of the service is that information about elections will come straight to your inbox, with no need to proactively seek it out. This is the case not just for the high-profile presidential elections, but all the other elections which you may not hear about or remember. The good thing is, this doesn’t end on November 9th. Once you’re a user, all future elections are there (pending address change) and you will be prompted to participate whenever there is a relevant local, state, or federal election in the future. Begin: similarly, the prep work is done for you. With each election, each user receives all the information they need, which is targeted specifically to them based on the information they entered upon signing up (address, party affiliation, citizenship, etc.). Both this and the above mentioned point are one of the strongest value propositions of the service and one we recommended further emphasizing. During: TurboVote helps their users register to vote, and links directly to online voter registration if you’re from a state that allows it. To address concerns surfaced during our research, we suggested improvements related to progress indication during sign up, at each screen giving users instant (or near real-time) validation and feedback to inform them when they have successfully completed each step, as well as clarifying next steps after registration, and bridging the last mile to the voting booth. Gilberto, one of the participants we spoke to wished “there was an actual person holding my hand and walking me through it all.” With the redesigned TurboVote experience, we hope to get as close to that sentiment as possible. 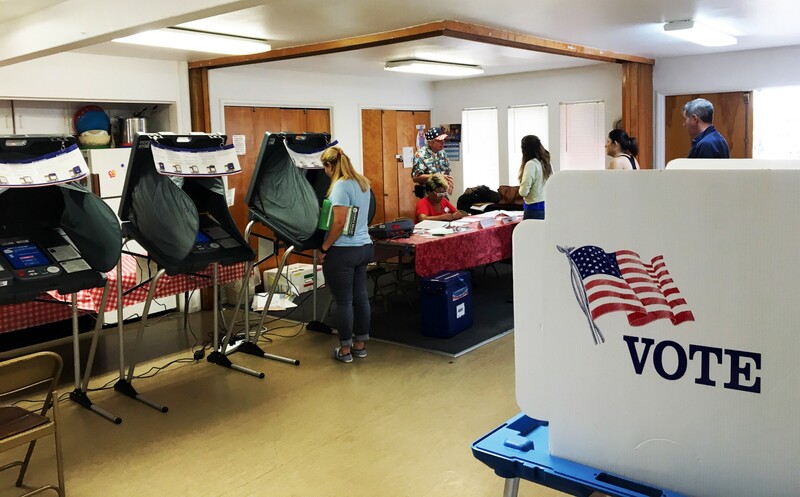 This blog post is part of a series showcasing the findings of a qualitative study conducted by SAP’s Design & Co-Innovation Center and commissioned by Democracy Works to better understand first-time voters in the US. To learn more about the study, feel free to reach out to the author.